When my family and I found ourselves outcast from the church due to a false rumor that fed congregational gossips, for a period of months we attended nowhere. My wife was less bitter than I, and urged me to be the leader of our family again—a responsibility I had briefly abandoned. We had home Bible studies for several months, not wanting to expose ourselves to ridicule and mistrust again. I’d had enough of church folks to last me a very long time. At the time, I recall well that I was determined to get my family back on track following the Lord, but my hurt was real. I had been betrayed by people I did know, and people I didn’t. The home Bible studies were effective and thoughtful. The last thing I wanted to do was to mislead my children from the church, yet at the same time I feared exposing them to ridicule. One Sunday afternoon, my wife had found information the church not far from where we lived, and she brought it to my attention. She asked me if I would be willing to take our family to a Wednesday evening service, in order for our children to have fellowship with other kids again. A Wednesday evening service seemed much safer than attending a Sunday morning event. I saw in her eyes that it wasn’t just the children missing the Fellowship with other Christians, it was her as well. The following Wednesday we arrived slightly late intentionally, and slipped into the back of the church. The pastor seemed very nice and it felt good to be around fellow believers worshiping the Lord. Still, I stood stiffly as I sang, and sat ready for trouble as the preacher spoke. The moment the service was over I headed for the door, only to be stopped by a young couple. I had never met them before but they wanted to introduce themselves and let us know that we welcome there. Several nights later, the same couple showed up at our front door with a pie. We invited them in, and eventually I allowed my stiff façade to dwindle. We didn’t talk about what happened at the other church, only that we had been hurt, and were timid about returning to any church. That young couple invited us to their Sunday school class, which we attended the following week. They accepted us and never required an explanation of us for why we had been jaded. That young couple turned this around and became good friends for many years until we moved away. Even so, we would meet each summer at a location of our choosing to spend a few days together. And since that time of restoration to the church, I have never allowed anyone to jade me or my family again. One couple, determined to do with the Lord had told him to do restored us where Satan sought to force us away. 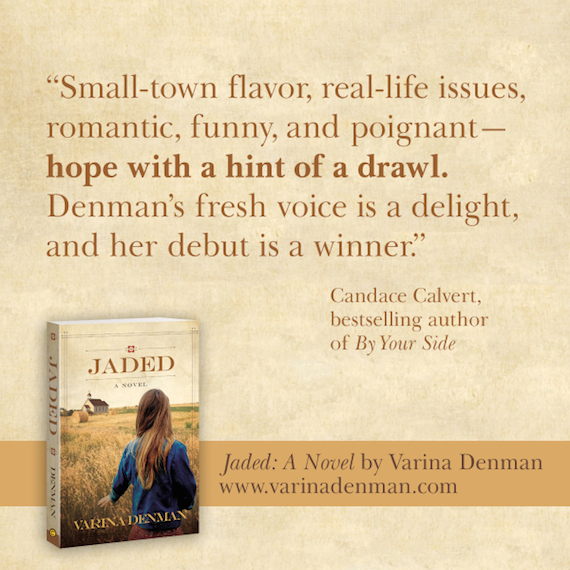 For the third blog post in the Jaded series, see next Tuesday, March 31st. Please leave comments below or at #DoneBeingJaded.